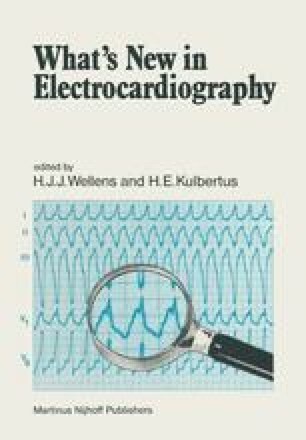 Since Einthoven’s description of the electrocardiogram, the utility of this diagnostic tool has increased rapidly as clinical experience has spread. Nevertheless, the electrophysiologic basis of the normal human electrocardiogram has lagged far behind the clinical expansion of the ECG. Description of normal phenomenon and abnormal rhythms was rapidly forthcoming but it has been only after many decades of use that the clinician has become increasingly aware of some of the pitfalls and diagnostic dilemmas which present themselves as electrocardiographic problems. This chapter deals specifically with the potential difficulties that the clinician might observe in the electrocardiographic assessment of myocardial infarction.